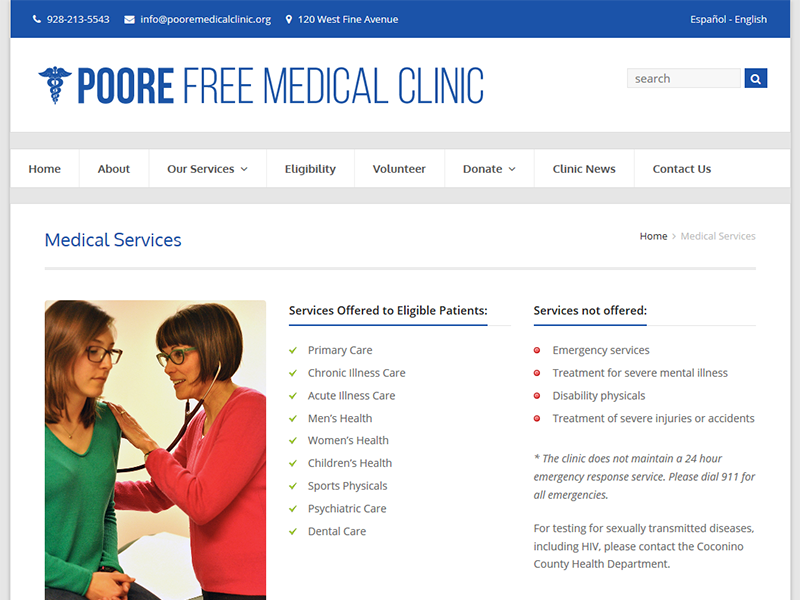 The Poore Medical Clinic was in need of a site redesign. 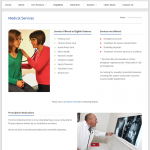 Their needs were to have a mobile-friendly and easy-to-navigate site with English and Spanish language capabilities. I created a clean layout with some rebranding to the logo. 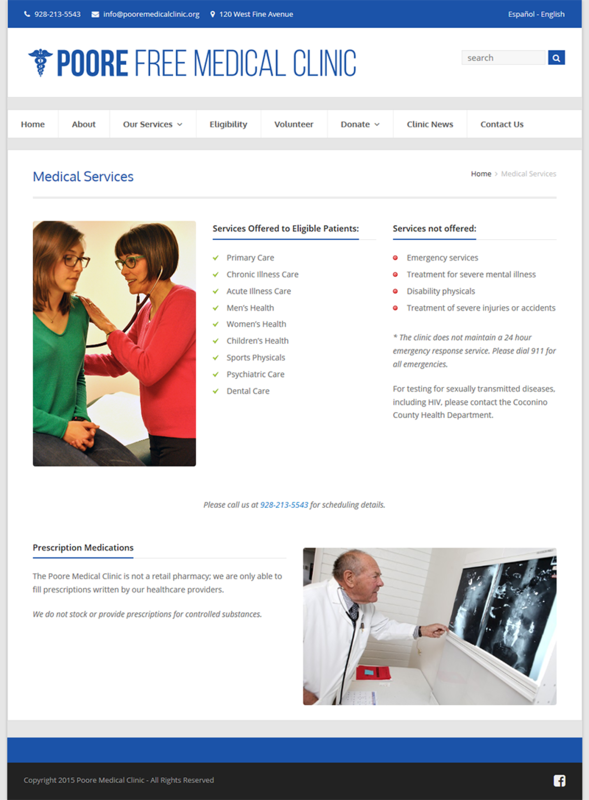 A language switcher was implemented to allow users to switch between English and Spanish. 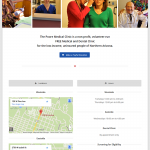 The site allows donors to easily make payments via PayPal. 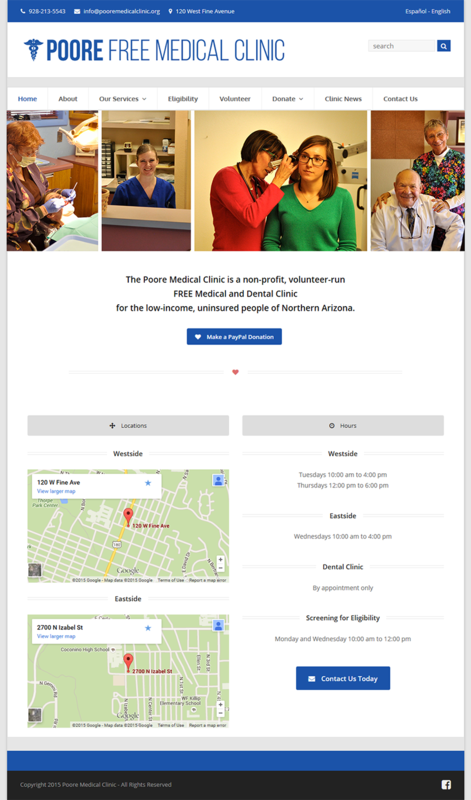 See the full site at pooremedicalclinic.org or view the site in a frame.